We are excited to announce our Girls Night Out East event. 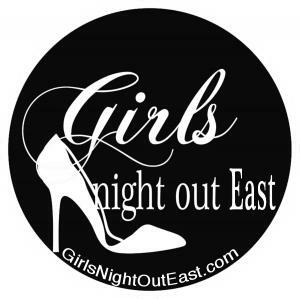 Girls Night Out East is an evening of getting away from a stressful daily routine and spending time with friends. It will be informative, educational, entertaining, and fun! Come shop, sample, socialize, and network. Portion of the proceeds to be donated to the American Cancer Society. COME JOIN US FOR A NIGHT WITH A MEDIUM. KAREN KILMARTIN WILL BRING LOVE, LIGHT, AND MESSAGES DIRECTLY FROM YOUR LOVED ONES IN A THEATER SETTING. THE FIRST 50 LADIES TO ATTEND WILL ROLL THE DICE FOR A CHANCE TO WIN $25,000, AND RECEIVE A FREE DRINK OF CHOICE!